Looking for a new Honda for sale near Manchester? 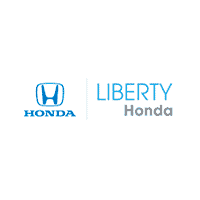 With over 303 new cars, trucks, and SUVs in stock, Liberty Honda has you covered. Choose from our massive selection of new Honda SUVs like the CR-V and HR-V or popular sedans including the Honda Civic and Accord. No matter which new Honda model you’re searching for, we sure to have a wide variety of color options and configurations to choose from. And for unbeatable offers and incentives, be sure to check out our new vehicle specials. Browse our inventory online and discover the perfect new car to drive home to New Britain! SAFETY: Advanced Compatibility Engineering body structure, Vehicle Stability Assist w/ traction control, Brake Assist, ABS w/ Electronic Brake Distribuition, Multi-angle rearview camera w/ guidelines, Advanced front airbags, SmartVent front side airbags, Side curtain airbags w/ rollover sensor, Tire Pressure Monitoring System Daytime Running Lights, Driver's and front passenger's seat belt reminder, Lower Anchors and Tethers for CHildren. FEATURES: 5-inch color LCD screen, Bluetooth HandsFreeLink and streaming audio, Security system w/ remote entry, Immobilizer Theft-Deterrent System, Body-colored power side mirrors, Body-colored rear roofline spoiler, Auto on/off headlights, Air conditioning w/ air-filtration system, Rear window defroster, Power windows w/ auto up/down driver's window, Cruise Control, Center console w/ armrest and storage compartment, Illuminated steering wheel mounted controls, Power door locks w/ auto-lock feature, Tilt and telescopic steering column, Backlit guages, Exterior temperature indicator, Map lights, 60/40 split 2nd row Magic Seat, Driver's seat w/ manual height adjustment, 160-watt audio system w/ 4 speakers, USB Audio Interface, MP3/Windows Media Audio playback compatibility, Speed-Sensitive Volume Control, 12-volt power outlet, Passenger-side seatback pocket. ENGINEERING: 1.5-liter DOHC i-VTEC 4-cylinder direct injection engine, Drive-by-Wire throttle system, Eco Assist system, MacPherson strut front suspension, Torsion-beam rear suspension, Front stabilizer bar, Electric Power-Assisted Rack-and-Pinion Steering, 15-inch wheels w/ full covers. SAFETY: Advanced Compatibility Engineering body structure, Vehicle Stability Assist w/ traction control, Brake Assist, ABS w/ Electronic Brake Distribuition, Multi-angle rearview camera w/ guidelines, Fog lights, Advanced front airbags, SmartVent front side airbags, Side curtain airbags w/ rollover sensor, Tire Pressure Monitoring System Daytime Running Lights, Driver's and front passenger's seat belt reminder, Lower Anchors and Tethers for CHildren. FEATURES: HondaLink, Apple CarPlay and Android Auto integration, Leather-wrapped steering wheel and shift knob, Front underbody spoiler w/ orange accents, Rear diffuser w/ orange accents, Side underbody spoilers, Chrome exhaust finisher, 5-inch color LCD screen, Bluetooth HandsFreeLink and streaming audio, Security system w/ remote entry, Immobilizer Theft-Deterrent System, Body-colored power side mirrors, Body-colored rear roofline spoiler, Auto on/off headlights, Air conditioning w/ air-filtration system, Rear window defroster, Power windows w/ auto up/down driver's window, Cruise Control, Center console w/ armrest and storage compartment, Illuminated steering wheel mounted controls, Power door locks w/ auto-lock feature, Tilt and telescopic steering column, Backlit guages, Exterior temperature indicator, Map lights, 60/40 split 2nd row Magic Seat, Driver's seat w/ manual height adjustment, 180-watt audio system w/ 6 speakers, USB Audio Interface, MP3/Windows Media Audio playback compatibility, Speed-Sensitive Volume Control, 12-volt power outlet, Passenger-side seatback pocket. ENGINEERING: 1.5-liter DOHC i-VTEC 4-cylinder direct injection engine, Drive-by-Wire throttle system, Eco Assist system, MacPherson strut front suspension, Torsion-beam rear suspension, Front stabilizer bar, Electric Power-Assisted Rack-and-Pinion Steering, 16-inch black-painted alloy wheels. SAFETY: Collision Mitigation System, Adaptive Cruise Control, Lane Keeping Assist System, Road Departure Mitigation System, Auto high-beam headlights, Honda LaneWatch, Advanced Compatibility Engineering body structure, Vehicle Stability Assist w/ traction control, Brake Assist, ABS w/ Electronic Brake Distribuition, Multi-angle rearview camera w/ dynamic guidelines, Fog lights, Variable intermittent windshield wipers, Advanced front airbags, SmartVent front side airbags, Side curtain airbags w/ rollover sensor, Tire Pressure Monitoring System Daytime Running Lights, Driver's and front passenger's seat belt reminder, Lower Anchors and Tethers for CHildren. FEATURES: One-touch power moonroof w/ tilt, Smart Entry and push button start, Apple CarPlay and Android Auto integration, 7-inch Display Audio w/ high-resolution electrostatic touch-screen and customizable feature settings, Pandora compatibility, SMS text message function, Bluetooth HandsFreeLink and streaming audio, Security system w/ remote entry, Immobilizer Theft-Deterrent System, Body-colored power side mirrors, Body-colored rear roofline spoiler, Auto on/off headlights, Air conditioning w/ air-filtration system, Rear window defroster, Power windows w/ auto up/down driver's window, Center console w/ armrest and storage compartment, Illuminated steering wheel mounted controls, Power door locks w/ auto-lock feature, Tilt and telescopic steering column, Backlit guages, Exterior temperature indicator, Map lights, 60/40 split 2nd row Magic Seat, Driver's seat w/ manual height adjustment, 160-watt audio system w/ 4 speakers, SiriusXM Radio, HondaLink, USB Audio Interface front and center console, MP3/Windows Media Audio playback compatibility, Speed-Sensitive Volume Control, 12-volt power outlet, Passenger-side seatback pocket. ENGINEERING: 1.5-liter DOHC i-VTEC 4-cylinder direct injection engine, Drive-by-Wire throttle system, Eco Assist system, MacPherson strut front suspension, Torsion-beam rear suspension, Front stabilizer bar, Electric Power-Assisted Rack-and-Pinion Steering, 16-inch alloy wheels. Safety: Collision Mitigation Braking System, Road Departure Mitigation System, Adaptive Cruise Control w/ Low-Speed Follow, Lane Keeping Assist System, Advanced Compatibility Engineering body structure, Vehicle Stability Assist w/ traction control, Brake Assist, ABS w/ Electronic Brake Distribution, Advanced front airbags, SmartVent front side airbags, Side curtain airbags w/ rollover sensor, Multi-angle rearview camera w/ guidelines, Tire Pressure Monitoring System, LED Daytime Running Lights, Drivers and front passenger's seat-belt reminder, Lower Anchors and Tethers for CHildren. Features: Auto high-beam headlights, Driver Information Interface, Projector-beam halogen headlights w/ auto-on/off, Body-colored power side mirrors, Security system w/ remote entry and trunk release, Direct ignition system w/ immobilizer, Automatic climate control system, Rear window defroster w/ timer, Power windows w/ auto-up/down driver and front passenger's windows, Tilt and telescopic steering column, Body-colored door handles, Center console w/ sliding armrest and storage compartment, Exterior temperature indicator, Map lights, Fold-down rear seatback, Driver's seat w/ manual height adjustment, Bluetooth HandsFreeLink, Bluetooth streaming audio, Illuminated steering wheel-mounted controls, 160-watt audio system w/ 4 speakers, 1.0 amp USB Audio Interface, Spees-Sensitive Volume Compensation, 12-volt power outlet, Power door locks w/ auto=lock feature, Capless fuel filler. Engineering: 2.0-liter DOHC i-VTEC 4 cylinder engine, Drive-by-Wire throttle system, Eco Assist system, Continuously Variable Transmission, Electric parking brake w/automatic brake hold, Hill start assist, MacPherson strut front suspension, Multi-link rear suspension, Front and rear stabilizer bars, Variable-Ratio Electric Power-Assisted Rack-and-Pinion Steering, 4-wheel disc brakes, 16" wheels w/ full covers. Safety: Collision Mitigation Braking System, Forward Collision Warning, Road Departure Mitigation System, Lane Departure Warning, Advanced Compatibility Engineering body structure, Vehicle Stability Assist w/ traction control, Brake assist, ABS w/ Electronic Brake Distribution, Advanced front airbags, SmartVent front side airbags, Side curtain airbags w/ rollover sensor, Multi-angle rearview camera w/ guidelines, Tire Pressure Monitoring System LED Daytime Running Lights, Fog lights, Driver's and front passenger's seat-belt reminder, Lower Anchors and Tethers for CHildren. Features: Remote Entry and push button start, HondaLin, Apple CarPlay, Android Auto, SMS text message function, 7" Display Audio w/ high resolution WVGA electrostatic touch-screen and customizable feature settings, Adaptive Cruise Controle w/ Low-Speed Follow, Lane Keeping Assist System, Auto high-beam headlights, Driver Information Interface, Projector-beam halogen headlights w/ auto-on/off, Leather-wrapped steering wheel and shift knob, Sport Pedals, Body-colored power side mirrors, Security system w/ remote entry and trunk release, Direct ignition system w/ immobilizer, Automatic climate control system, Rear window defroster w/ timer, Power windows w/ auto-up/down driver's and front passenger's windows, Tilt and telescopic steering column, Body-colored door handles, Center console w/ sliding armrest and storage compartment, Exterior temperature indicator, Map lights, 60/40 split fold-down rear seatback, Driver's seat w/ manual height adjustment, Bluetooth HandsFreeLink, Bluetooth streaming audio, Illuminated steering wheel-mounted controls, 160-watt audio system w/ 4 speakers, 1.5-amp USB Smartphone/Audio Interface, Speed-Sensitive Volume Compensation, 12-volt power outlet, Power door locks w/ auto-lock feature, Capless fuel filler. Engineering: 2.0-liter DOHC i-VTEC 4-cylinder engine, Drive-by-Wire throttle system, Center outlet exhaust, Eco Assist system, 6-speed manual transmission, Electric Parking Brake w/ automatic brake hold, Hill start assist, MacPherson strut front suspension, Multi-link rear suspension, Front and rear stabilizer bars, Variable-Ratio Electric Power-Assisted Rack-and-Pinion Steering, 4-wheel disc brakes, 18" alloy wheels. SAFETY: Collision Mitigation Braking System, Forward Collision Warning System, Road Departure Mitigation System, Lane Departure Warning System, Advanced Compatibility Engineering body structure, Advanced Compatibility Engineering body structure, Brake Assist, ABS with Electronic Brake Distribution, Advanced front airbags, SmartVent front side airbags, Side curtain airbags with rollover sensor, Multi-angle rearview camera with guidelines, Tire Pressure Monitoring System, LED Daytime Running Lights, Driver’s and front passenger’s seat-belt reminder, Lower Anchors and Tethers for CHildren. FEATURES: Adaptive Cruise Control with Low-Speed Follow, Lane Keeping Assist System, Auto high-beam headlights, Projector-beam halogen headlights with auto-on/off, Body-colored power side mirrors, Security system with remote entry and hatch release, Immobilizer Theft-Deterrent System, Driver Information Interface, Automatic climate control, Rear window wiper/washer with heated wiper zone, Rear window defroster with timer, Body-colored rear roofline spoiler, Power windows with auto-up/down driver’s and front passenger’s windows, Tilt and telescopic steering column, Body-colored door handles, Center console with sliding armrest and storage compartment, Exterior temperature indicator, Map lights, 60/40 split fold-down rear seatback, Driver’s seat with manual height adjustment, Bluetooth HandsFreeLink, Bluetooth streaming audio, Illuminated steering wheel-mounted controls, 160-watt audio system with 4 speakers, USB Audio Interface, Speed-Sensitive Volume Compensation, 12-volt power outlet, Power door locks, Capless fuel filler. ENGINEERING: 1.5-liter turbocharged and intercooled DOHC 4-cylinder engine with direct injection, Drive-by-Wire throttle system, Eco Assist™ system, Continuously variable transmission, Electric parking brake with automatic brake hold, Hill start assist, MacPherson strut front suspension, Multi-link rear suspension, Front and rear stabilizer bars, Variable-Ratio Electric Power-Assisted Rack-and-Pinion Steering, 4-wheel disc brakes, 16-inch alloy wheels. SAFETY: Collision Mitigation Braking System, Forward Collision Warning System, Road Departure Mitigation System, Lane Departure Warning System, Advanced Compatibility Engineering body structure, Advanced Compatibility Engineering body structure, Brake Assist, ABS with Electronic Brake Distribution, Advanced front airbags, SmartVent front side airbags, Side curtain airbags with rollover sensor, Multi-angle rearview camera with guidelines, Tire Pressure Monitoring System, LED Daytime Running Lights, Driver's and front passenger's seat-belt reminder, Lower Anchors and Tethers for CHildren. FEATURES: Adaptive Cruise Control with Low-Speed Follow, Lane Keeping Assist System, Auto high-beam headlights, Projector-beam halogen headlights with auto-on/off, Body-colored power side mirrors, Security system with remote entry and hatch release, Immobilizer Theft-Deterrent System, Driver Information Interface, Automatic climate control, Rear window wiper/washer with heated wiper zone, Rear window defroster with timer, Body-colored rear roofline spoiler, Power windows with auto-up/down driver's and front passenger's windows, Tilt and telescopic steering column, Body-colored door handles, Center console with sliding armrest and storage compartment, Exterior temperature indicator, Map lights, 60/40 split fold-down rear seatback, Driver's seat with manual height adjustment, Bluetooth HandsFreeLink, Bluetooth streaming audio, Illuminated steering wheel-mounted controls, 160-watt audio system with 4 speakers, USB Audio Interface, Speed-Sensitive Volume Compensation, 12-volt power outlet, Power door locks, Capless fuel filler. ENGINEERING: 1.5-liter turbocharged and intercooled DOHC 4-cylinder engine with direct injection, Drive-by-Wire throttle system, Eco Assist™ system, Continuously variable transmission, Electric parking brake with automatic brake hold, Hill start assist, MacPherson strut front suspension, Multi-link rear suspension, Front and rear stabilizer bars, Variable-Ratio Electric Power-Assisted Rack-and-Pinion Steering, 4-wheel disc brakes, 16-inch alloy wheels. Get our Best Price First – No need to waste time haggling! Now that you’ve browsed our inventory, it’s time to get behind the wheel for a test drive. Contact us to schedule your visit to our showroom in Hartford near South Windsor.